Attending our General Member meetings is the easiest way to get involved with CAB! 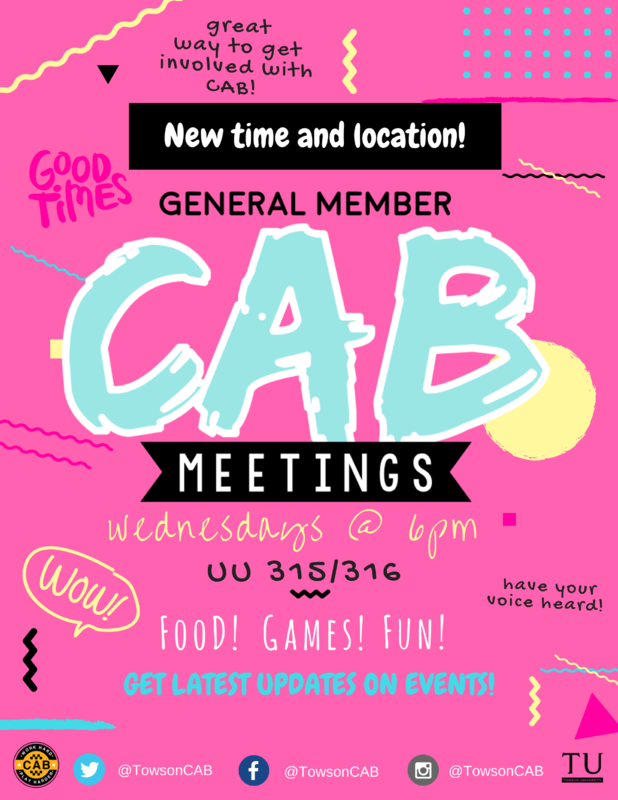 Every other Wednesday at 5pm, join CAB during our General Member meetings! Meetings are in the University Union, in room 315/316. Those that attend have the opportunity to help us organize events, give us ideas and suggestions, sign up to volunteer for our events, and get the first look at upcoming events! 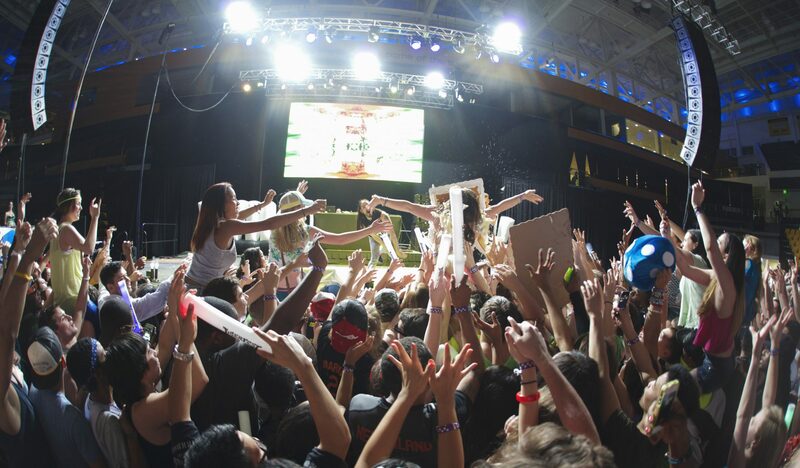 Want to get more involved on campus? CAB is the best way to do that! 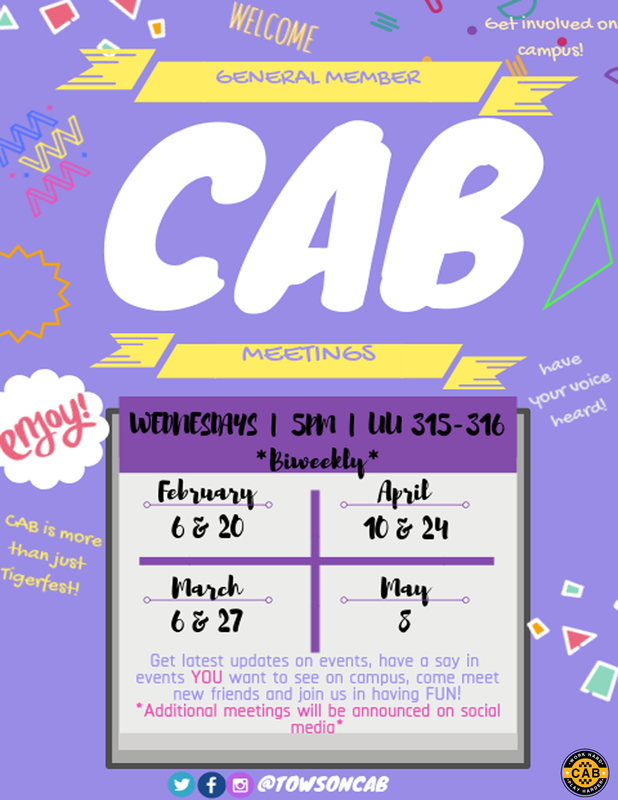 Free food, CAB promo, and fun games and activities every week! Sign up for our email newsletter and follow us on social media to catch up on what you missed!